A Crown SC 4500 Series three-wheel, counterbalanced forklift in use at a Hunter Pacific International facility. A range of Crown material handling equipment including SC counterbalance forklifts, SHR stackers, WP pallet trucks and a Wave work-assist vehicle are being used to keep things rotating at an Australian ceiling fan manufacturer’s national distribution centre. Hunter Pacific International, which designs and engineers its products onsite at its head office in Dural, New South Wales, began its relationship with Crown over 15 years ago when it bought a PTH hand pallet truck. That led to a succession of Crown equipment being purchased as the company expanded its warehousing and distribution channels. The first person who sold the company a Crown is still the person they deal with, Hunter Pacific director Philip Allen says, and the PTH pallet truck is still in use. Part of the reason Allen likes the brand’s products is his interest in good design and advanced technology. "They’re beautiful machines," he says, adding: "We run them in Sydney, in Melbourne and in Western Australia. "We get Crown in to service them on a reasonably regular basis and I’m not aware of ever having any downtime. "The initial outlay is slightly higher than with some other brands but using Crown equipment is all about keeping our customers happy in the long-term and it works out to be good value." 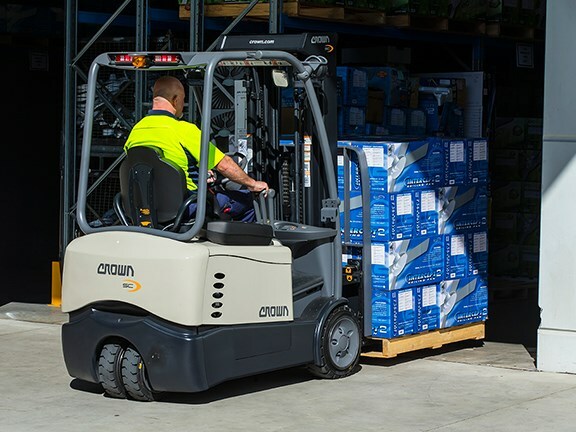 The Crown SC 4500 Series three-wheel, counterbalanced forklift — which is used at Hunter’s Sydney site for day-to-day warehouse management — features the e-GEN braking system, a clear-view mast and Crown-built AC drive motors. The SHR 5500 Series are heavy-duty reach stackers which Crown says combine the manoeuvrability advantages of a stacker with the application flexibility of a counterbalance fork lift. The WP 3000 pallet truck series is what Crown calls the ‘workhorse of the warehouse’. It features "precise and efficient controls, a responsive AC drive motor and robust components to face a variety of challenges". Hunter also uses a Crown Wave work-assist vehicle for managing smaller stock items. It’s an aerial work platform that can transport and lift both the operator and a small load. Hunter Pacific was founded in 1985 by Allen and his wife Leigh. It now has warehouses and distributors in NSW, Victoria, Queensland, WA, New Zealand and Singapore. It is managed as a family affair with Philip’s and Leigh’s three sons working in the business. The company’s achievements include the invention and development of a single-bearing ceiling fan, the introduction of ‘mix and match’ and stainless steel fans, recognition with an Australian Design Award and numerous patents and design standards. 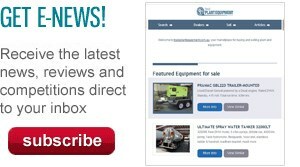 Check out these Crown forklifts for sale.